CerTest Entamoeba one step card test is a coloured chromatographic immunoassay for the qualitative detection of Entamoeba histolytica and E. dispar in stool samples. 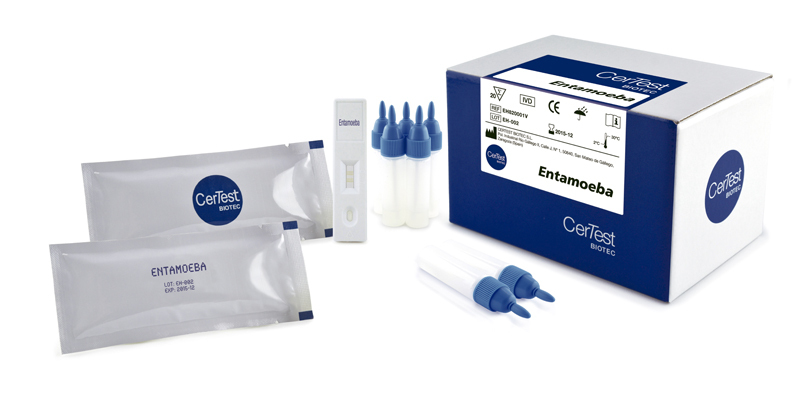 CerTest Entamoeba card test offers a simple and a highly sensitive screening assay to make a presumptive diagnosis of amoebiasis. Entamoeba histolytica, E. dispar, and E. moshkovskii are morphologically identical but biochemically and genetically different. These parasites colonize the human gut, but only E. histolytica is thought to be capable of causing disease. Amoebiasis is the infection of the human gastrointestinal tract by Entamoeba histolytica, a protozoan parasite that is capable of invading the intestinal mucosa and may spread to other organs, mainly the liver. The acceptance of E. dispar as a distinct but closely related protozoan species has had profound implications for the epidemiology of amoebiasis, since most asymptomatic infections found worldwide are now attributed to this noninvasive amoeba. Roughly, 90% of people infected with Entamoeba infections have E. dispar.  The disease may manifest itself as an acute, chronic or as an asymptomatic infection. The leading symptom is dysentery whose main consequence one galling of the colon, diarrhoea and abdominal pain. Complications of the disease may be hepatic abscesses, pulmonary abscesses or even cerebral abscesses which, if untreated, usually end in death. Infection occurs by water pollution, vegetables, raw fruits and other food or poorly cooked or washed with infective cysts from contaminated faeces. It is possible that flies and cockroaches carrying cysts from faeces to food. Amoebic dysentery occurs frequently in tropical countries but are also cases in temperate and cold areas. In Africa, tropical Asia and Latin America, more than two thirds of the population has these intestinal parasites, although most can be virtually asymptomatic infections.